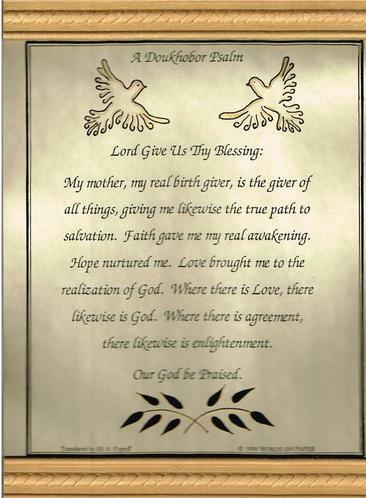 ​WORDS OF WISDOM will primarily feature basic concepts from The Living Book, the Doukhobor oral collection which contains the beliefs of the Doukhobor creed. I will also include other writings which contain important life lessons along with appropriate images. In my Doukhobor studies, I have often wondered about Lukeria Kalmykova’s prophecy: ‘In the future Doukhobors will live in glass houses’. In her time, glass was a luxury, primarily reserved for the wealthy class and churches. [The moody lighting provided by stained glass windows provided a restful and subtle atmosphere that is easy to mistake for spirituality and divine presence. Hitler studied the effect of the Catholic mass in cathedrals on participants in his theoretical experiments on mind control and manipulation]. Lukeria’s prophecy has come to pass - the Doukhobors of today do live in luxury with plenty of glass in luxurious houses. Others have found a home, living spiritually, once again, in organized churchianity surrounded by ornate stained glass. The glass house prophecy has come to pass. 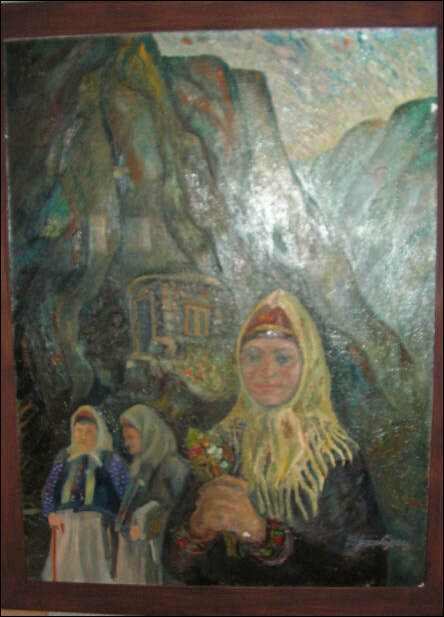 But the Doukhobors were also well versed in parable and allegory, so I searched for an additional, symbolic meaning in her prophecy, aside from the simple physical interpretation. After much thought and consideration, it dawned on me. The prophetic day is now upon us, and the glass house we live in is technological, most simply illustrated by the television screen in every home, and its offspring in every pocket and even on some wrists. All of our lives are now encapsulated within the content of the T V monitor or computer screen. Our consumer goods, our aspirations, our entertainments, our information, are all contained within the screen. Our life is now expressed and reflected within that glass box; it has indeed become our home. This illusory object which is the ultimate non-reality has now become our reality. Regrettably, her prophecy has come to pass in a profound way and it would take a mighty revolution and re-organisation of our mind set and incredible will power to overcome this enslavement we have been conditioned to accept as normal. This does not bode well for the future of the world, and just as pacifism and other endearing Doukhobor values whose time has come in order for the world to survive, it is time to strive to recapture those ‘old fashioned’ values into the present day reality of our lives, replacing the conditioned illusion. A further prophecy said that someday the Doukhobors would return to their homeland. For many years, the Doukhobors in Canada believed this literally, and were prepared to leave at a moment's notice, another pout. However, there is an allegorical interpretation in this case also. I believe that returning home will be a spiritual return to the original holistic Doukhobor values; pacifism, holistic life style, harmony with fellow persons and nature. To me, it is the only safe future for our world. Hopefully this is still possible and it is not too late for this to also come to pass. 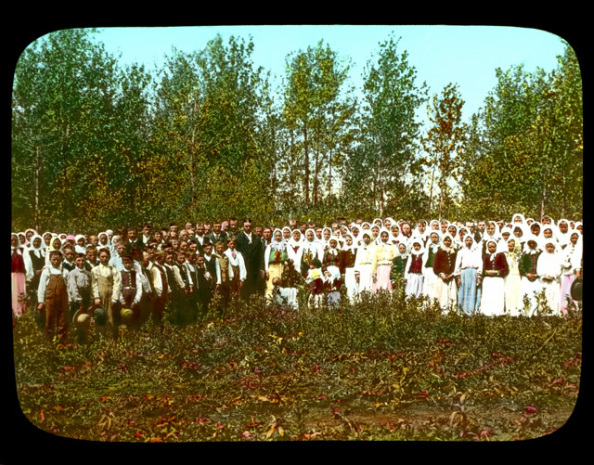 In reverence to our revered forbears, and humanity in general, the Doukhobors today could [and should] lead the way and proselytize by example. What sane intelligent person can honestly resist such a message? 1. Christ is one of the Divine Light Bearing Angels. 2. When earth had evolved to a given stage of development and man came into being upon it and it became attainable to man to have an understanding of eternal life, the Lord sent one of His Divine Light-Bearing Angels to proclaim to mankind on earth about eternal life. For a period of time Christ took on human form and proclaimed that which was entrusted unto Him by the Lord. 3. The universe is composed of many planets similar to our earth, some larger, some smaller. The formation of planets stems from an eternal cosmic power which people refer to as God or the Lord. The birth of planets occurs at different times. Given planets pass away while others come into being. 4. Upon reaching a mature level of evolution every earth planet must he enlightened by a cosmic spiritual consciousness. This enlightenment came about to our earth through Christ and by means of this enlightenment our earth with man at the head of it became a child of the eternal cosmic power and therefore a human being accepting and believing in Christ’s proclamation can enter immortality and inherit eternal life. 5. The birth of a human life is here on earth, the next existence is in eternity. 6. It was necessary for Christ to come to earth because He had seen, been part of eternal life and He therefore could proclaim with assurance about the immortality of man as a spiritual[ being if only man wills to enter immortality into eternal life. 7. The purpose of man’s life is to strive towards ever greater and greater levels of perfection to become more and more aware of the cosmic laws and the will and the ways of eternal cosmic power. The span of our earthly physical life is not adequate for a person to at least relatively become aware of all cosmic laws so he could evolve further in his concerns. 8. Man will not be reborn in his physical body a second time but will be reborn only in spiritual form evolving into forms of a higher and higher level corresponding to the level of his spiritual attainment. 9. Spiritual consciousness transcends time and distance and therefore space or distance and therefore space or distance has no meaning to conciseness of the spirit. For instance a person may bodily be at one place but in his conscious thoughts he may be at several places which are at great distances from each other. Thus do thoughts of a person work so freely and so broadly. 10. Man must accept the concept of immortality, the concept of the eternal existence of the spirit of God and through this acceptance or belief become a child of Eternal Existence. 11. Man is continually reborn and continually transmigrates from planet to planet and can continually evolve and by his Faith come ever and ever nearer to merging with the spirit of eternity and in time becoming a Divine Light Bearing Angel of Life Eternal. 12. And so it is very important for a human being to recognize and believe while he is on earth in eternal life. His continuing evolution toward perfection will be in his following existence. In order to become fully cognizant of the total grandeur of the whole universe and of the Kingdom of God, it will require at least a million years by mortal man’s count, because a million years to eternity is only like the momentary flash of lightning. 13. Being reborn is essential for a human being for his evolution towards perfection in his recognition and awareness of cosmic laws and for strengthening his faith in the immortality of the spirit. Here on earth there is only the birth of this awareness and belief. I am firmly convinced that in my entering into my next stage of evolution of immortality, with my next rebirth my belief in the eternal existence of the Cosmic spirit shall be increased by a thousand fold from the belief that I have at the present time. 14. Everything that is born dies. Our earth has had its day of birth and there will come a day when it shall die. It will wane, but for the time of its existence it is giving a good harvest. Several millions of people shall attain immortality and shall enter into eternal existence. 15. The universe can be compared to a large scale university or school. Life of man on earth is the first grade, like the porch entrance to a large residence. Man, in reality, is so inexperienced like a child. But the book of life is open to him and man can begin attaining his learning from the first pages, which is nature all about him. All power lies in the awareness by the human being that after life on earth, after death of the physical body, man still has an enumerable amount of grades that he can attain according to the measure of development of his spiritual and intellectual powers through which he can continually advance to higher and higher perfection. 4. By the word God they understand,-The power of love, the power of life which is the source of all that exists. 5. Life is progress and everything tends towards perfection, in order that the seeds received should be returned to the source •of life in the form of ripe fruit. 6.. In everything that exists in our world we see consecutive stages towards perfection-Thus beginning with a stone and passing over to plants, we come to animals the fullest development of which is man, regarding him from the point of view of life and a conscious being. 10. It is recognized that the communal life of man is based on the moral law which has for its rule, What I do not wish for myself, that I must not wish for anyone else. It also appears in its entirety in V. Olkhovskvs article.- To the History of Russian Doukhoborism", (Education, Books 10, 11, and 12. f905). 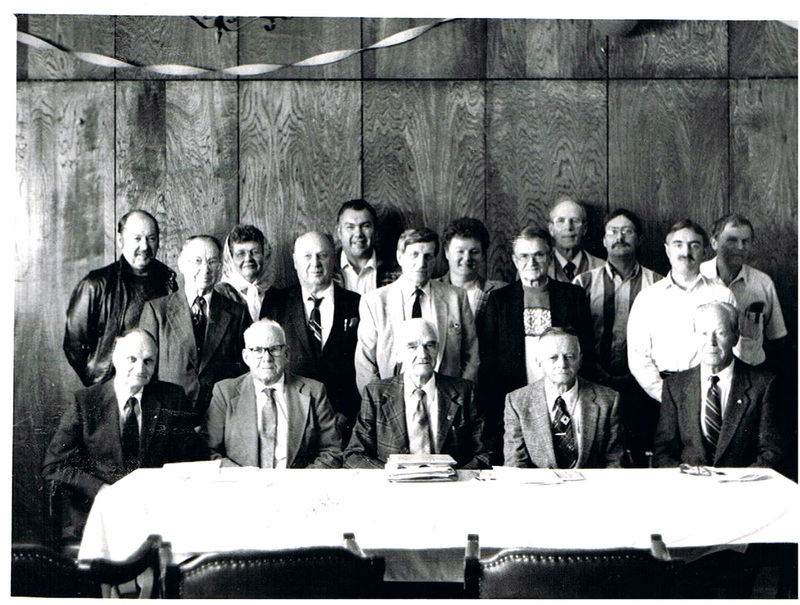 When I asked the Canadian Doukhobors which Psalms from the entire Book of Life they consider at this time as the most important ones in their outline of the D philosophy they often answered me: "Some general views of the Christian Cm of U Brotherhood" and "The dearest beloved brother in our Lord Jesus Christ [See Psalm 384 "Book of Life"). The first one as well as the second one belong to the pen of Peter Verigin, the leader of the Larger Doukhobor Party. These works go back to 1895-96. The Doukhobor I. E. Konkin in his letter dated Dec. 12, 1896. writes: these ten points we consider in lieu of the basic rules for Christian life or as ten commandments of the new testament. The beginning of creation is also one in itself, just as indivisible is the man endowed with invariable characteristics which belong to him only: "Memory" not only as a voluntary and involuntary memory but also as an eternal link of the present with the past. And since the soul God's abode in man - is reason, and reason is son of God, therefore man who contains reason is son of God. He is divine, man-god. With one's death, the body disappears, and the soul parts from it and leaves for heavenly abodes. Your soul shall depart to eternal life, and your body shall decay and return to earth. "Our body shall turn into dust, and our soul shall return to its eternal home, where there is no death, no sorrow, no guilt, no weeping, no thirst; where exists an everlasting day, and eternal light", it will merge with all "visible and invisible world", with cosmos. Human soul, a source of reason in human life, is immortal. It is eternal, the same way as the nature itself is eternal, as life is, as the world is, as the universe is, as God is. With death the human shell disappears - his body, but his soul - an absolute reason - this primary essence of man, remains in this world as something which knows no death, which is above death and life, as something that turns into existence. It, the soul, is eternal in its existence. It is continuous and hereditary in humanity. It passes from one individual to another. It is especially preserved and it dwells in all its powers in ‘true people’, there where the intellectual, the spiritual source of life in its highest perfection an entirety. Where there exists love of one for another, there abides God". "God is a holy spirit, a holy place in Himself; the soul - His body - is immortal; not born, not created, it is eternal original, - it will clothe itself in light. like with a vestment, in its eternal immortality". "God remains in three persons". "The first person is father light. The second person is son life, our God. The third person is peace-light Spirit, our God". "The Spirit is essence", the creator of all spiritual blessings", then this triplicity, trinity of God is presented as: "height - the Father, width - the Son, depth - the Holy Spirit". God in Trinity - as one". 1. Q. Do you have a lamp? 2. Q. What does the lamp represent? A. It represents for us our ardent faith, our indestructible conscience. 3. Q. Do you have a temple of God? 4. Q. What does a temple of God represent? A. Our body is a temple of God. Our soul is the image of God, a heavenly likeness, Our prayer, which we dedicate to God, is a true altar. 5. Q. Why do you not believe in our holy images and icons? A. It is better to see badly with one eye than to be blind completely. 6. Q. What man is deemed to be a Christian? Why are you a Christian? A. Because God is a spirit, God is the word, God is man. I am a Christian because I am worthy to pray to God and to bow to Him the spirit. 7. Q. To which God do you pray? A. We pray and bow to God who created for us heaven and earth, who created us and who gave us light. 8. Q. Do you believe in Jesus Christ? A. We believe in Him and profess that He is our only Lord, Jesus Christ, The Son of God, God who is Man. 9. Q. Do you know Christ? A. Our predecessors had knowledge of God before they had the knowledge of Christ. 10. Q. Who are your predecessors? A. No one. The Son was the first to have cognizance of the Father; and no one but the Father had the first cognizance of the Son. 11. Q. Have you ever seen God? A. No one has ever seen God; where love is, God is. 12. Q. Who are the people in whom God dwells? A. These are God's people. 13. Q. Who taught and instructed you to say such things? A. Our Teacher dwells on earth; He is our Lord, our Leader, the Holy Spirit. The Lord has said: seek, and ye shall find; ask, and it shall be given to you, knock, and it shall be opened unto you. 14. Q. Is it possible for one person to save another? A. If the other person listens, it is possible. Glory be to our God. [There is no heaven, there is no hell, it's all within you. The Kingdom of God is amoung us. The Lord has said: "I am the Gospel and the light to all the world. The Gospel is a glad tiding of the absolution of my sins and the inclusion among the children of God". Do you have a Psalter? We have psalms, and psalms are Psalter. A Psalter is reason, a record of truth. it consists of righteousness in this world, of gladness in the Holy Ghost. Doukhobors transfer "life after death" to this world and this life. Heaven means singing, it means a discourse under the sky. Where there is consultation there is a light. Where there is love, there is also God. The birth of an infant among the Doukhobors does not entail any rituals. 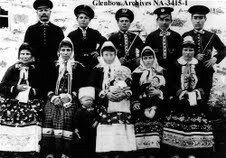 The Doukhobors say: "When a baby is born he who takes the child in his arms, gives this child a name". 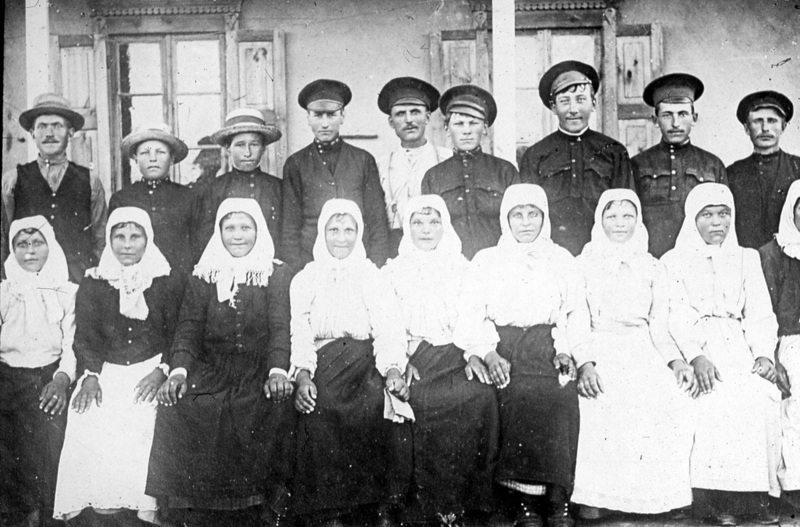 Among the Doukhobors there exists an exceptionally strong feeling of respect toward women. This respect is based mainly on the fact that the woman gives birth. She brings into this world this "wonderful and miraculous creation of God" who is from birth endowed with a divine nature, who is the greatest manifestation of nature's creative powers, who enjoys the possession of full and perfect mind. Every woman is a Mother of God same as every man is Man God. Every woman is "from time immemorial a virgin, until today". "She gave birth to Jesus Christ and continues to do so", i.e., she gives birth to this source of life which give people "purpose of life". Every woman, every "virgin" brings into life "God's way and God's work". It is she who brings into this world a being which is above all other things - the Man, i.e. Mankind. This is why every woman, every Mother of God, who "sings and speaks" is "in celestial realm", i.e., enjoys a very deep and true esteem and respect. Is it necessary to speak of the fact that among the Doukhobors a woman is an entirely free, equal, loved and independent person, and that she occupies an honourable and high place in the commune? ​Recently, there has been some discussion regarding the accuracy of Russian translation, particularly in reference to the increasing use of English among the Doukhobor population in Canada in their sobranies. One of the key Doukhobor psalms is Be Devout, adapted by Illarion Pobirokhin in the 1700s. Be Devout. Trust in God. Love Him with all your heart. Be fervent to His holy church. Honour and keep faithfully His Commandments. Follow the virtuous; avoid vice. Be reasonable. Look to the consequence, then consider your means. Do not bypass the opportunity for doing good deeds. Do not undertake anything without deliberating, and do not hurry your deliberation; do not be too hesitant, only if the occasion demands. Do not believe every rumour; do not desire all that you see; do not attempt doing all that you are able, but only that which is necessary. What you do not know, do not affirm nor deny, inquire into the matter and you will be wise. Be moderate; do not eat without hunger; without thirst do not drink, and then only according to the need; avoid drunkenness as you would hell. From intemperance is born sickness; from sickness - death. The abstemious live healthy, long, and well. Be humble, not arrogant; tend to be more reticent than talkative. When spoken to, be silent; when being addressed - listen carefully. When someone asks you to do something, oblige him, and do not boast. Do not be quarrelsome and proud. To all be friendly, to none be a flatterer. Also be honest, do not crave that which does not belong to you; especially do not steal. That which you need, acquire through labour. In poverty, ask for help; accept it if it is given and be grateful. What you have borrowed - return; keep your promise. Leave idleness to the lazy. If you wish to undertake something, first assess your abilities, then proceed without hesitation. In misfortune, do not lose courage, and in time of good fortune do not be arrogant. Respect poverty. Be cautious in different situations; sorrow is frequent. Where the patient endure, the faint-hearted weep and wail. Be kindhearted and benevolent. If you can, give to those who are in need, help the poor. Forgive those who offend you; if you have offended someone - make peace with him. It is commendable not to hold a grudge. Forgive the sinner, yield to the pleading. Respect the elders, be sociable to your equal, courteous to the poor; greet those whom you meet, return the greeting to those who greet you. 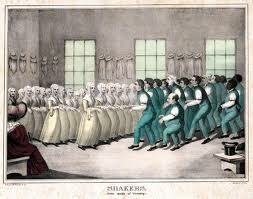 Reply to the enquirer; instruct the ignorant; comfort the sorrowing. Do not envy anyone. Wish well to all. Serve all to the best of your ability, and you will gratify all people of good will. Friends will love you, and your adversaries cannot hate you. Always tell the truth; do not lie. All this observe and you shall be fortunate. 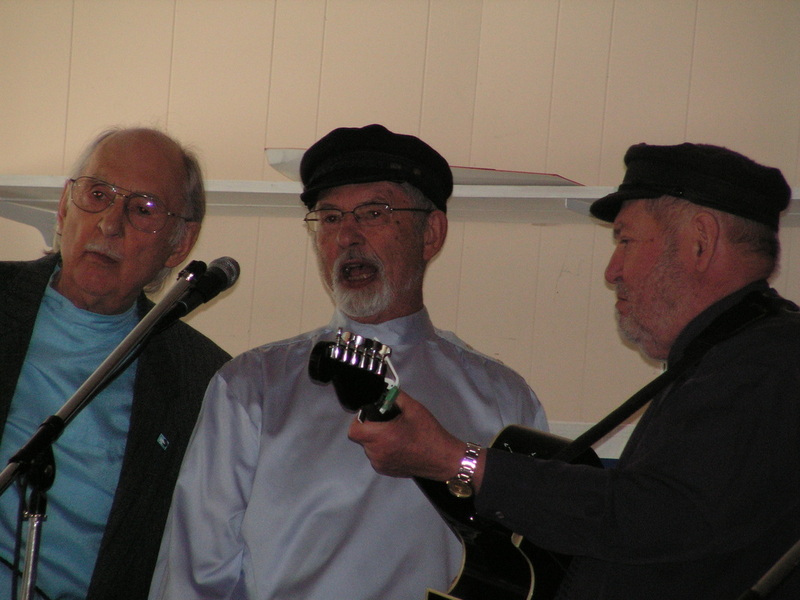 CDS afternoon jam session on the CDS annual Peter's Day which commemorates the Arms Burning of 1895, Doukhobor Discovery Centre. "Questions and answers" are also known as "defensive psalms". Summarized in them are not only questions pertaining to the faith of the Doukhobors but also their attitude to everything surrounding them. "Questions and answers" also deal with socio-political views of the Doukhobors and they summarize basis for their daily life. 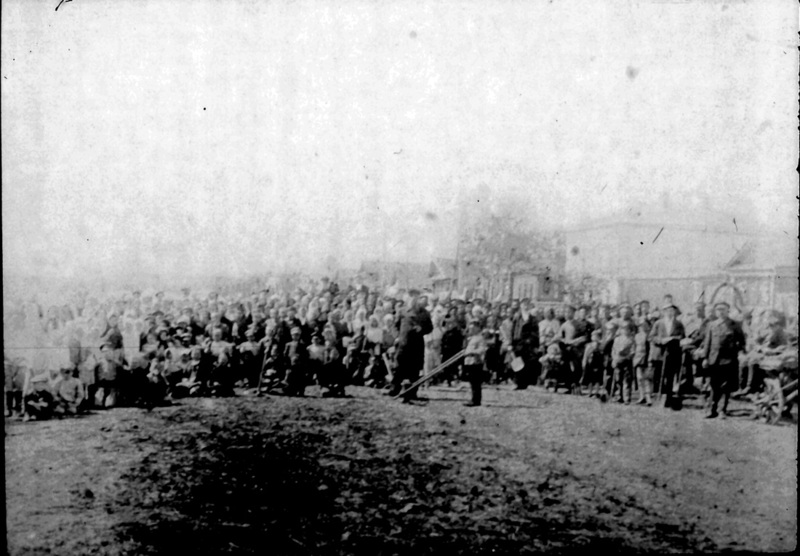 They are called "defensive psalms" because by means of these "questions and answers" the Doukhobors defended themselves in Russia during various investigations, searches and conversations with representatives of Russian authorities and clergy, as well as they defended themselves from all strangers, non-Doukhobors. Thanks to the existence of "questions and answers", the Doukhobors' answers to questions dealing with their concept of life were always and everywhere the same. 1. Q. What kind of people are you, of what religion, how is your sect called? A. This is our testimony: We are people called Doukhobors; Our affairs are as follows: Firstly, we believe in God's law and in Jesus Christ. We respect the Tsar, we obey authorities on account of our happiness, humility and for the sake of salvation of our souls. 2. Q. Do you recognize the existence of God? A. We see and recognize the only God, the Creator; we all bow to Him only. 3. Q. Do you believe in the incarnation of the Son of God? A. We believe and profess that there is only one God, our Lord, Jesus Christ, Son of God, God is man. 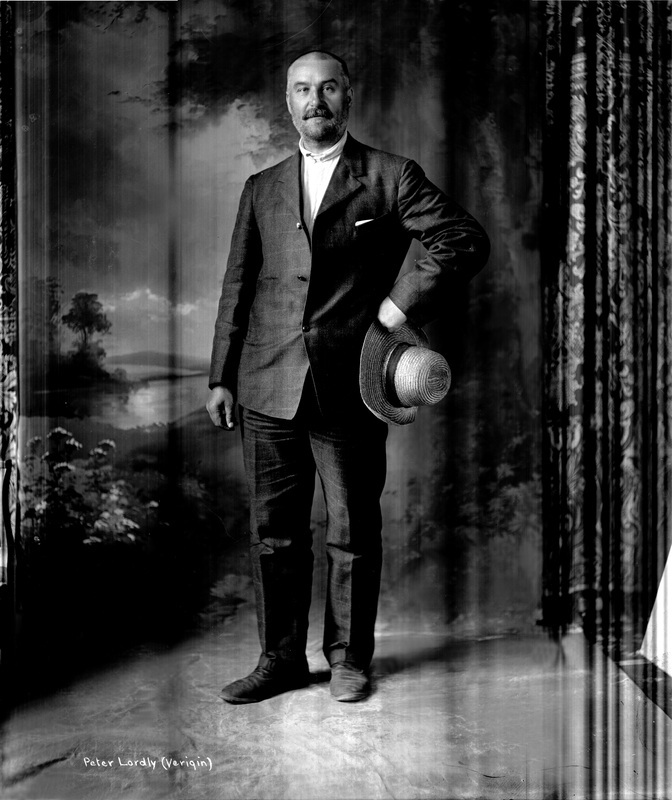 [My thanks go to Vsevolod Izmailovich Sreznevskii who was so kind to read and to correct texts of Doukhobor psalms and other entries, and who supplied them with certain notes. Ewashen Brothers perform . . .
To call angels for help means that they will repel darkness, that they will create a temple for a man to strengthen his mind. It adds to one's faith, hope and love; it covers one with light like the sun. It is like selecting a group of angels to drive away ferocity, to pacify all kinds of anger, to shatter wrath. Singing the Psalms is like honey. They form a union of love, give you power of observing and strength of fulfilling all and a way of obtaining. The Psalms express prayer for future generations; they bring their offering on behalf of the present generations and rejoice on account of good deeds. It shows the true light. To the young it is an improvement of their mind coming from Christ, our God. In free translation, this principle states: 'First among equals, but some are more equal than others'. 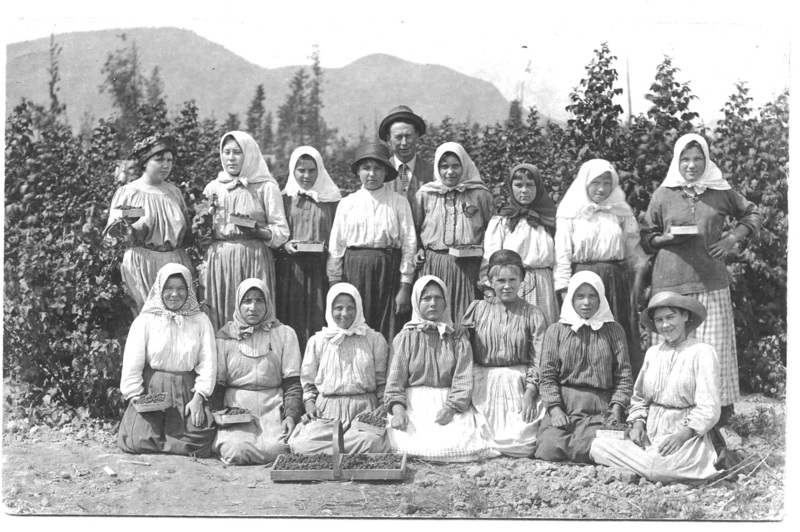 In the Doukhobor concept, God resides in all men and women. Therefore, all are equal. Why then, some people ask; do the communal Doukhobors have revered leaders who they obey and follow with devotion? Why should such an egalitarian society acknowledge ‘leaders’? Beyond the above principle is another concept: in any natural collective pool of human beings, some are possessed with above average qualities, and as the cream rises to the top of the milk, they are the ones in whom the collective wisdom rests in the above average amount, and they are blessed with qualities that enable the collective body to thrive. And so the others are ready to acknowledge them, and consider themselves fortunate to have such ‘blessed’ individuals to lead them. 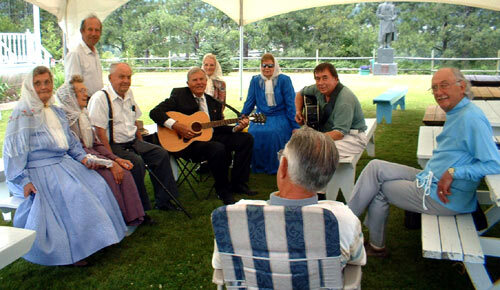 A review of Doukhobor history will indicate that their development and spiritual growth is traced through the leaders and their significant contributions throughout each stage. Beyond the natural, inevitable occurrence of this principle, research indicates that such reverence which motivates their behaviour is rooted in their core beliefs as indicated by the Book of Life, collected by Vladimir Bonch-Bruevich. There are among the Doukhobors, among the "righteous ones", the "true people", whose "intellect is well above" other people's. These are "heavenly pillars", "prophets", "true sons of God", "Christs". They prophesy the truth to people. By doing this they strengthen peoples' life, protect it against temptations and falls, and bring them nearer to eternity. This "true man" is no one else but "Christ God" who lives among us, who came into this world, who suffered for us, who has shown us the path of life, who has been always and incessantly present in our life, and who is present among us now. It is precisely this "truth among the true ones", "the son of God" and "God" to whom it behooves us to bow, who is the leader of the Doukhobors. And since "no one can have the knowledge of the Son but the Father", and since "the Father has cognizance in the Son, and the Son has cognizance in the Father", and since "the Spirit originates from the Father and abides in the Son", therefore the highest form of wisdom among the true people, among the Doukhobors, was always transmitted and still is in a hereditary way from leader-father to leader-son. To genealogy of the people who has its beginning in Israel corresponds genealogy of leaders of the people, of these "certain sons of God". Of Him it is said that he is "a true prophet, a celestial eagle, a high ladder, a fragrant censer, a garment woven with golden thread, a church created by other than human hands, a star which quickly appears in the East". He is also a priest among the Doukhobors - "the righteous one, the saint one”. He is "free of sin", he is "a rock" on which "all the churches had been constructed", he is "our Christ", Christ of the Doukhobors. To a definite question: "Do you believe in the embodiment of the sons of God? ", the Doukhobors answer equally definitely: "We believe and profess in one God our Lord, Jesus Christ, the Son of God, the God who is man", i.e., born, incarnate of man, the "Son of God, Jesus Christ". 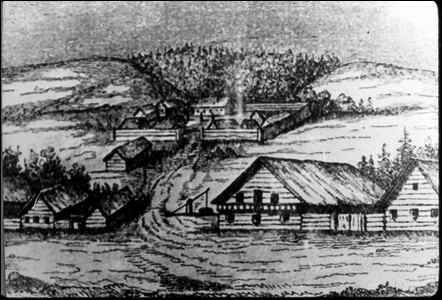 The Doukhobors consider that they "are today in Heavenly regions, that they are present at the second resurrection of Christ", i.e., they live in times when "the Lord dwells in the Promised Land", in the land of the Doukhobors. Question: In what way do you acknowledge Verigin? Answer: He is our mutual brother and comforter. Do you consider him as prophet or God? Go, and ask him - if there is God where he is, we will not renounce him. 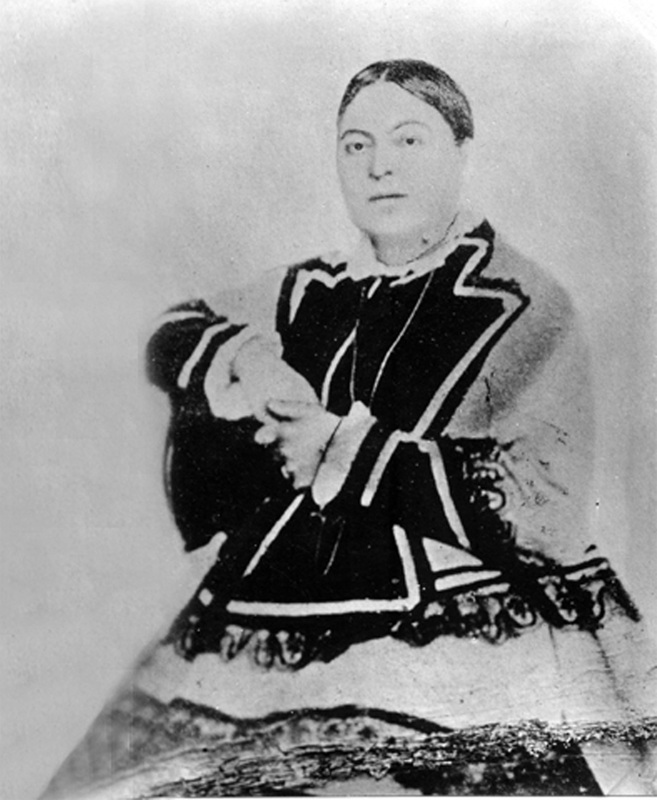 How did you acknowledge Lukeria Vasilievna? Rejoice, earth, for a great gladness has arrived, and the heavens are filled with the glory of God - thus solemnly and mysteriously answer the Doukhobors about their leader. 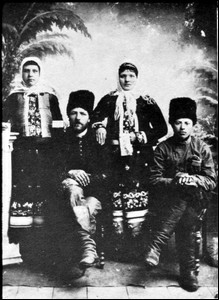 Basing their teaching on the teaching of apostles and prophets, the Doukhobors honour those of their leaders with reverence who "bring them a glad tiding". The soul is eternal in its existence. It is continuous and hereditary in humanity. It passes from one individual to another. It is especially preserved and it dwells with all its powers in "true people", where the intellectual, the spiritual source of life manifests itself in its highest perfection. Those people who during the span of all their life come closest to the perfect man who in his wisdom is equal to God; people who discover the true meaning of life; people who strive for truth; people who observe "God's law"; - these are the true worshipers of God "in spirit and in truth" they are "vessels of God", "keepers of divine beginning'. "What I do not wish unto myself, I do not wish unto my brother". "God's law" is "principles of faith as to what to do and what not to do". "if you ever find yourself in need, discover for yourself the strength in law". Those who have discovered "the truth", the essence of "God's law" are in this life a living source of truth and justice. Their souls, their reason, lucid and enlightened, pour into this life and world plenty of true enjoyment and profound happiness. The soul migrates from one individual to another, all the time transmitting with it all its characteristics of divine wisdom. God is the first "wish", original light that forms the beginning of all the existence, the source without beginning and end, the first cause of world's existence. God is a spirit, a light for the world". "God is man" who speaks in a human way”. Our birth in flesh opens to us knowledge of the world only in the world. Living in the world, we apprehend the world: there is no other knowledge. When there was "neither heaven, nor earth, nor moon, nor the adornment supplied by the stars, nor the radiance of the sun", God then existed "in himself, in His essence of mind, in his deity". The sovereignty of God is everywhere, "He cannot be contained in heaven, underneath the heaven, under the temples. i.e., He dwells in man, dwells here on earth, among us, in everyone of us because “we were all born, we are all divine". God was named God by"in the beginning there was word" i.e. by man. "The image" of God consists "in God's perfection, in His power, and the power in God, and God in man, and man began life". The beginning of knowledge of all life was laid down by Him only, by man for man, and therefore everything originates from man and ends in man. "Man is a wonderful and marvelous creation of God", creation of all life. "We are worthy of bowing to him - the living man". “We confess our sins to the living God”. But no one, anywhere saw God - the spiritual essence of our existence - because "God is a spirit without a body". "God dwells in the spiritual essence of our existence. Universal Cosmology by Russian Doukhobor artist, Vladimir Gubonov. Triptych oil on canvas 100 x 200 cm. created in 1995 commemorating the 100th anniversary of the 1895 arms burning in Russia. 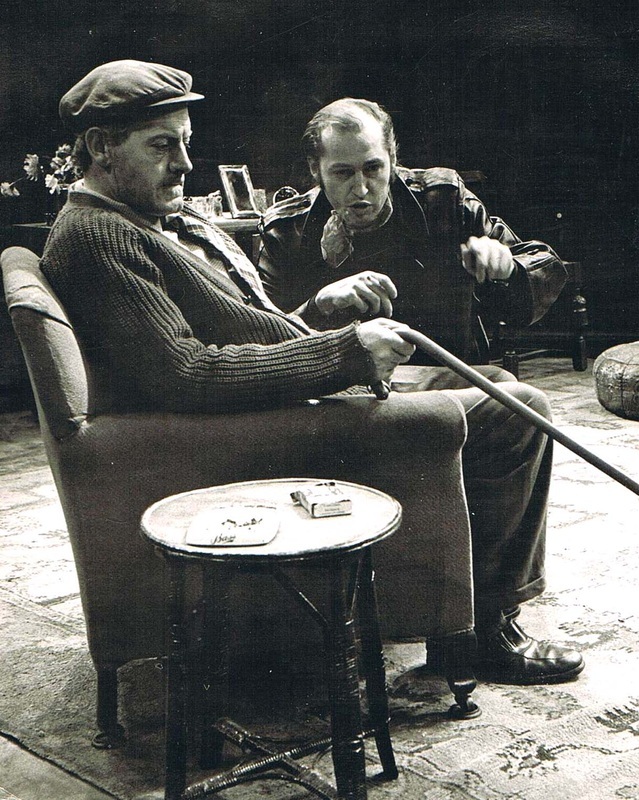 Larry Ewashen directing Sir Tony Church of the Royal Shakespeare Company, Northcotte Theatre, Exeter. Yet here, Laertes! aboard, aboard, for shame! The wind sits in the shoulder of your sail, and you are stay’d for. There; my blessing with thee! See thou character. Give thy thoughts no tongue, nor any unproportioned thought his act. Those friends thou hast, and their adoption tried, grapple them to thy soul with hoops of steel; but do not dull thy palm with entertainment of each new-hatch’d, unfledged comrade. Beware of entrance to a quarrel, but being in, bear’t that the opposed may beware of thee. Give every man thy ear, but few thy voice; Take each man’s censure, but reserve thy judgment. Costly thy habit as thy purse can buy, but not express’d in fancy; rich, not gaudy; For the apparel oft proclaims the man, and they in France of the best rank and station are of a most select and generous chief in that. This above all: to thine ownself be true, and it must follow, as the night the day, Thou canst not then be false to any man. And my heavenly home is here.